A ceiling fan makes a big difference in your home. They do a lot to change the atmosphere and the decor. Redecorate to suit the fan you have, or replace your fixtures with a new fan that suits your new interior design. Ceiling fans from Minka Aire provide style, selection, and quality, all while remaining functional. Ceiling fans are a comfortable method of climate control in your house, in either the indoor or the outdoor spaces. Minka Aire fans provide the look and feel that you want for your home. Effortlessly. That is the beauty of a ceiling fan. Summer is finally here, and with the warm weather comes weekend getaways, backyard parties, and so many BBQs! There are a few simple tricks to elevate your outdoor space without breaking the bank, including finding the perfect Minka Aire fan to finish off your look! Mowing the lawn, trimming the hedges, and cleaning up any pesky autumn leaves are quick and efficient ways to increase your home’s curb appeal. The less clutter, the better. So we recommend creating a blank canvas by removing any broken lawn furniture and forgotten decor from sight. The first step can always be a little overwhelming, so it is best to start slow. Focus on one area of your yard before moving on to the next. Soon, you’ll have a perfect summer oasis right outside your house, complete with a new Minka Aire fan that will create the illusion of being in a tropical resort. 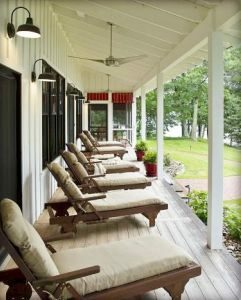 The soothing breeze of a swirling ceiling fan brings back memories of those leisure-filled summer days before you gave in to the lure of instant relief that air-conditioning offers. But now you find yourself missing the ambiance only a ceiling fan can provide. When you put this together with your desire to create a modern look for your home, you find yourself shopping. If this sounds like you, we’d like to suggest viewing our selection of Minka Aire fans. A ceiling fan can add a great deal to the ambience of your home. That’s good news because they are also a very functional, practical, and essential appliance to help you out with the heat in the summer. Buying the right ceiling fan is only difficult because of the amount of choice that ceiling fans give you, and at Crescent Harbor, there are many lines to choose from, including Casablanca Ceiling Fans and Monte Carlo Ceiling Fans. 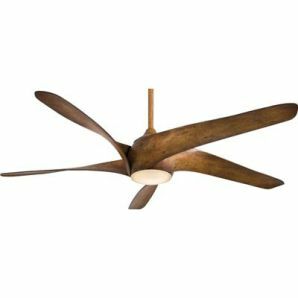 If you need some ideas on how to choose the best one for you and your home, here are some things you should be looking for when you shop for a ceiling fan. Do you wish that you could beat the heat by installing a ceiling fan in your home? Are you worried that the addition of a fan will ruin your otherwise stylish design choices? Fear not! Minka Aire fans are here to save you from your predicament! Combining form and functionality, Minka Aire ceiling fans are as beautiful as they are useful. What Makes Minka Aire Fans Special? With everything from classic to contemporary, Minka Aire fans are designed to suit every lifestyle and design taste. The Minka Aire focus has been on maximum comfort, no matter the size of the room. Have you always wanted a fan in your tiny spare bedroom? How about a fan large enough to span your grand foyer? Minka Aire carries both indoor and outdoor fans, starting as small as 35” and spanning sizes over 58” to accommodate every space inside and outside of your home. Best of all, these fans are simply stunning. Many people think of ceiling fans as being an eyesore. They may be functional, allowing you to achieve comfort and temperature-control within your home, but many designers lament over the necessary evil of installing a ceiling fan. If this is you, Minka Aire fans will exceed your expectations and teach you that even ceiling fans can perfectly complement your décor. Not many people think of a ceiling fan as a piece of art, but those people have probably never seen the intricate beauty of a Minka Aire ceiling fan. Unlike many of the forgettable ceiling fans that are found throughout the world, Minka Aire has set itself apart with its unique fashion sensibilities and quality constructions. Here are just a few reasons why home owners and decorators alike are going crazy for Minka Aire ceiling fans. Ceiling fans have changed dramatically over the last few decades. Originally, fans were used only for necessary air movement, nothing more. These days, the modern styles and designs of ceiling fans have caught the attention of interior designers who now make them an important part of interior design. While the use of a fan is still to warm or cool a room, their shapes and designs make them an important fixture in room décor. Minka Aire ceiling fans are no exception to this rule. These fans, when used in the right room, add to the ambiance and overall look of the theme and decor. With the many types of fans available on today’s market, which type is right for you? Does your home seem a little less than chic? It needs to be freshened up with a style makeover. You want your home to make you happy and comfortable as soon as you walk in the door, and you also want your home’s style to match your own personal style—but if you only have a small budget for renos and décor, this can be a tough task to maneuver. Don’t despair. There is a solution that can help with any budget and any space out there: Casablanca ceiling fans. Minka Aire fans are a great way to cool down your home in cost-effective and environmentally friendly ways. It takes very little energy to run a fan, compared to other home cooling systems (like Air Conditioning systems), so you can cool down the air in your home without having to spend a lot of money on energy and electricity bills. Using fans rather than A/C is also a great way to reduce your carbon footprint, and it may actually contribute to your home having cleaner, better air.